Many insurers now view the customer experience in claims as the next level of competitiveness. For years claims organizations have been cutting costs. To become stronger and leaner, they have worked with whatever resources they had to keep expenses in check. This cost cutting has come at a price. Despite years of mergers and operational improvements, many claims teams are still challenged by optimization and expectations for higher performance. While they have focused on cost efficiencies and aligning business with operational strategies, many now view the customer experience in claims as the next level of competitiveness. 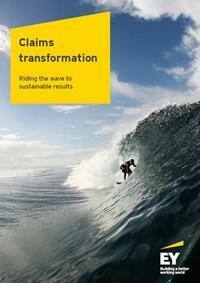 The claims process remains a critical moment of truth in the insurance value chain. It is time to think about making this leaner environment more sustainable. This will require strengthening the claims value proposition and providing the essential support functions to impact the front-end customer experience. Managing a complex network of disparate systems will no longer be enough. Insurers will need to attain a new level of sophistication in technology that leverages analytics against robust claims data and contributes to a more profitable book of business. Within the last three years, insurance companies have started reinvesting in claims and making changes in scale and scope. Typically, organizations have bought the technology platforms or focused on some immediate areas to give them optimization and save costs. They have renegotiated supplier and claims handling arrangements, for example, and have made ongoing investments in technology change and, to a lesser extent, in digital front-end processes. Now that expenses are down, how can insurers move the needle of claims performance to position their company for future growth? This next wave has to extend above and beyond what claims organizations thought of before — tailoring initiatives and talent management to an enterprise strategy that considers wider scale and broader change. Raising the bar to a whole new level will require redesigning core business processes, enhancing data analytics and predictive modeling capabilities and harnessing the power of digital and mobile to reach the customer. Those companies that get it right will see greater efficiencies across the board and a positive financial impact on their bottom-line results.